Our company MPBS Industries sells 2 kinds of pans: aluminum pans and plastic pans. 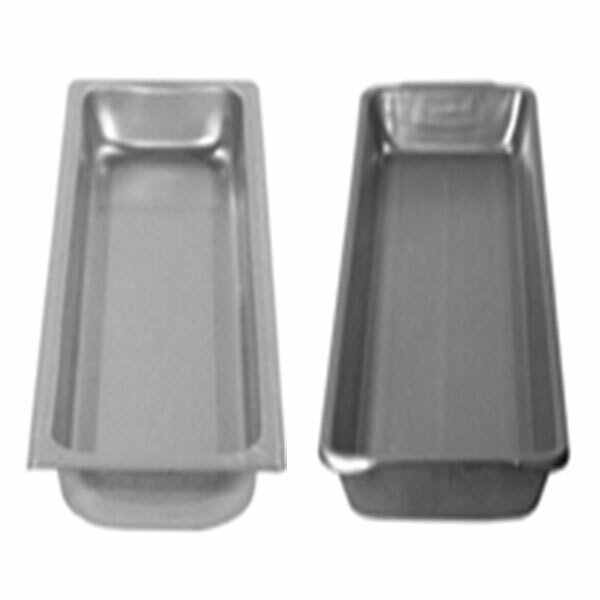 The aluminum pan provides maximum utility and efficiency in all types of retail meat departments. It conducts cold instantly to reduce costly meat shrinkage. It is designed to ride smoothly on skate wheel conveyors; it also has build-in handles and nest perfectly for easy pick off without sticking together. 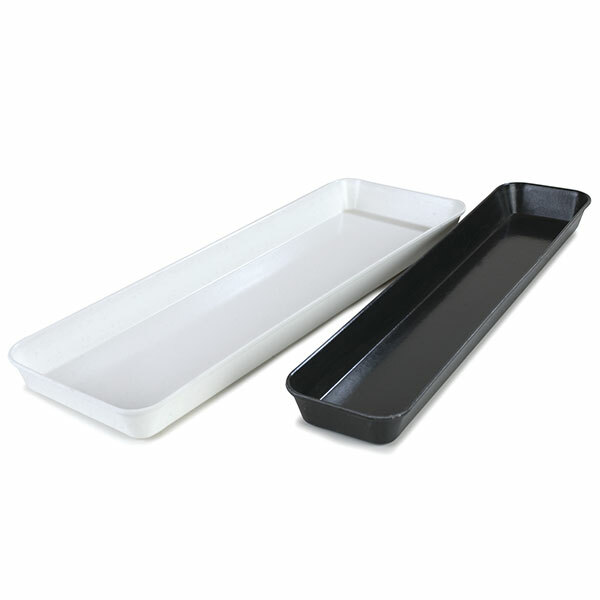 For the plastic pans, the seamless construction of these white plastic molded display pans ensures no leaks or accidents. The benefits that the plastic pans have are lightweight, yet strong plastic construction is not brittle, maintains flexibility for long-term use. Please feel free to contact our professional sales and service staff to answer any questions you have.